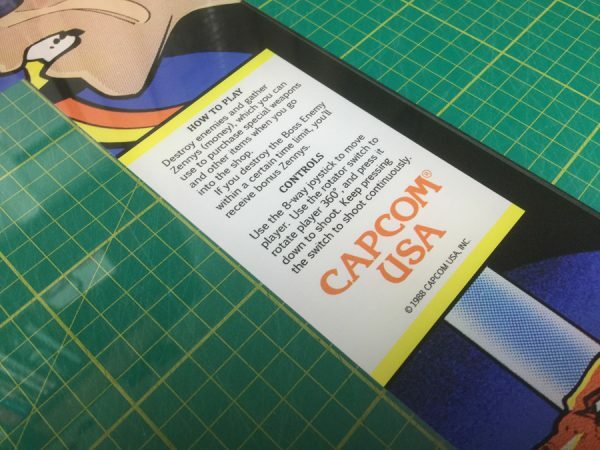 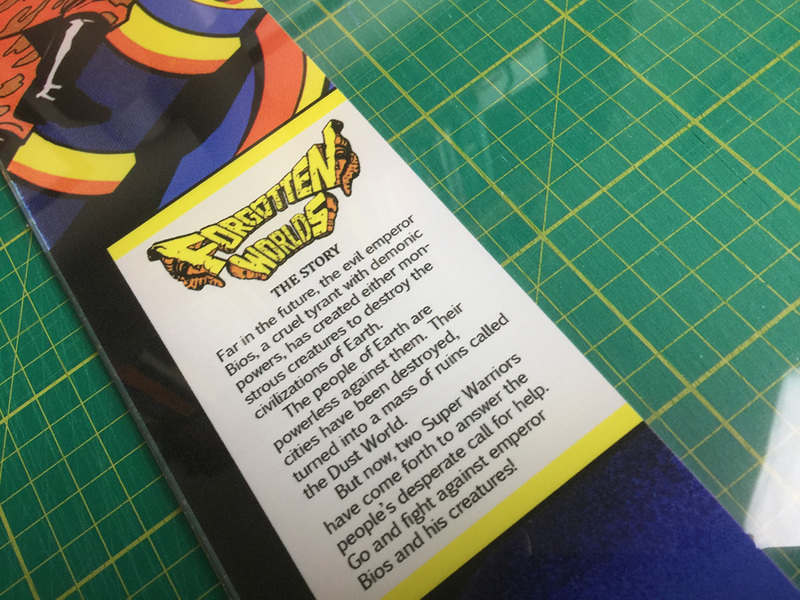 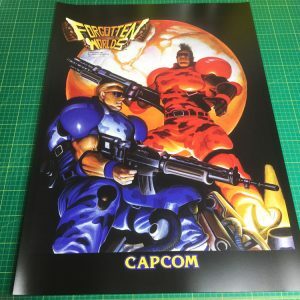 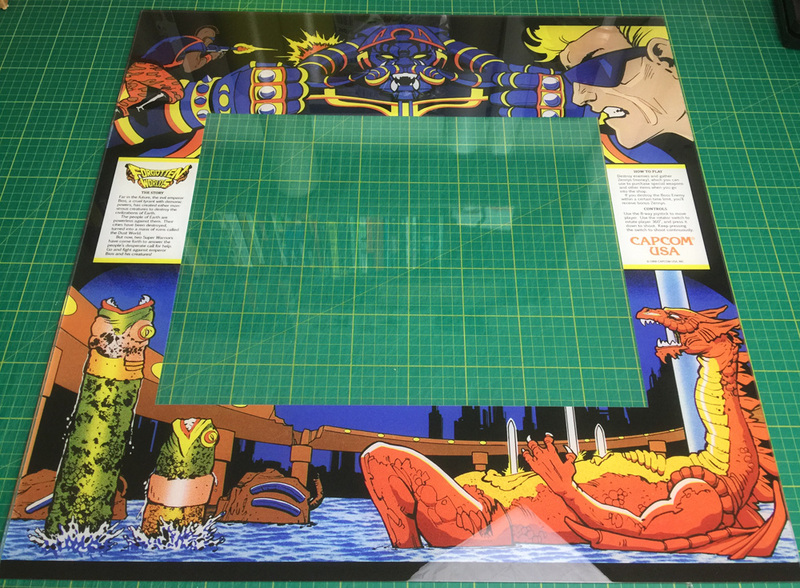 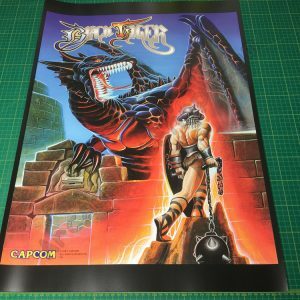 Reproduction monitor bezel plexi for Capcom’s Forgotten Worlds. 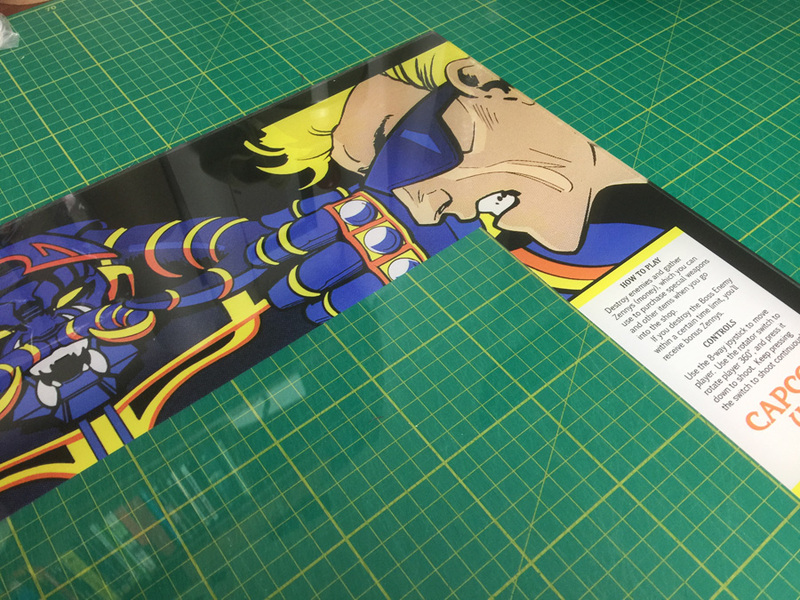 Measures 603 x 613mm, on 4mm thickness perspex. 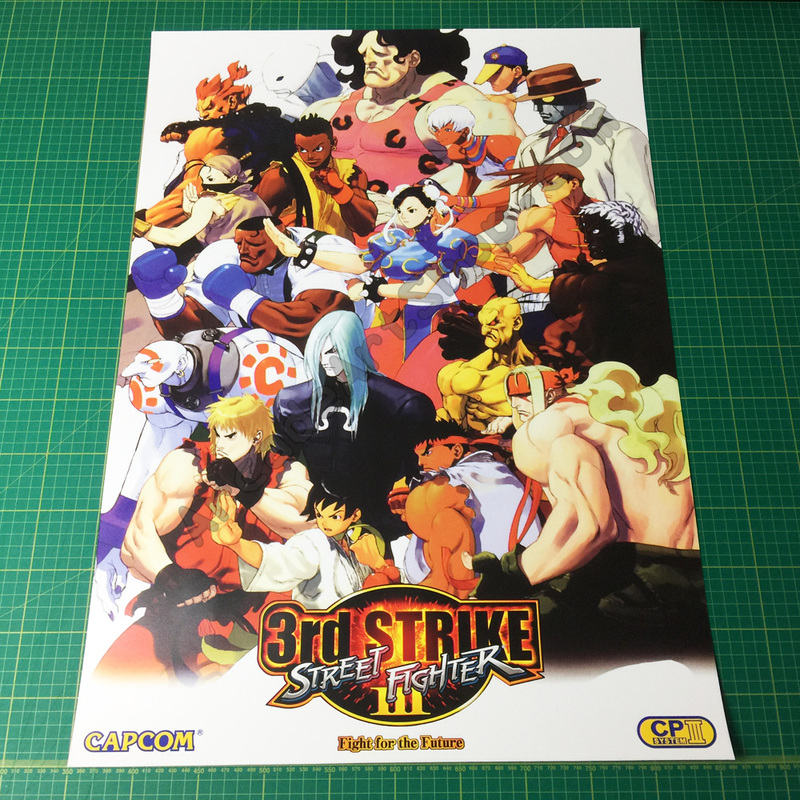 Direct reverse printed to plexi with a white ink backing.